US equity indexes closed fractionally weak, sp -2pts at 2495. The two leaders - Trans/R2K, settled lower by -0.1% and -0.2% respectively. 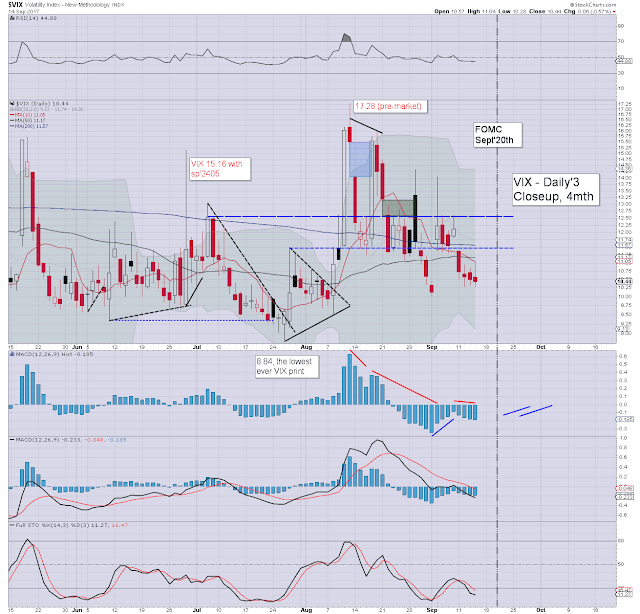 VIX settled -0.6% at 10.44. 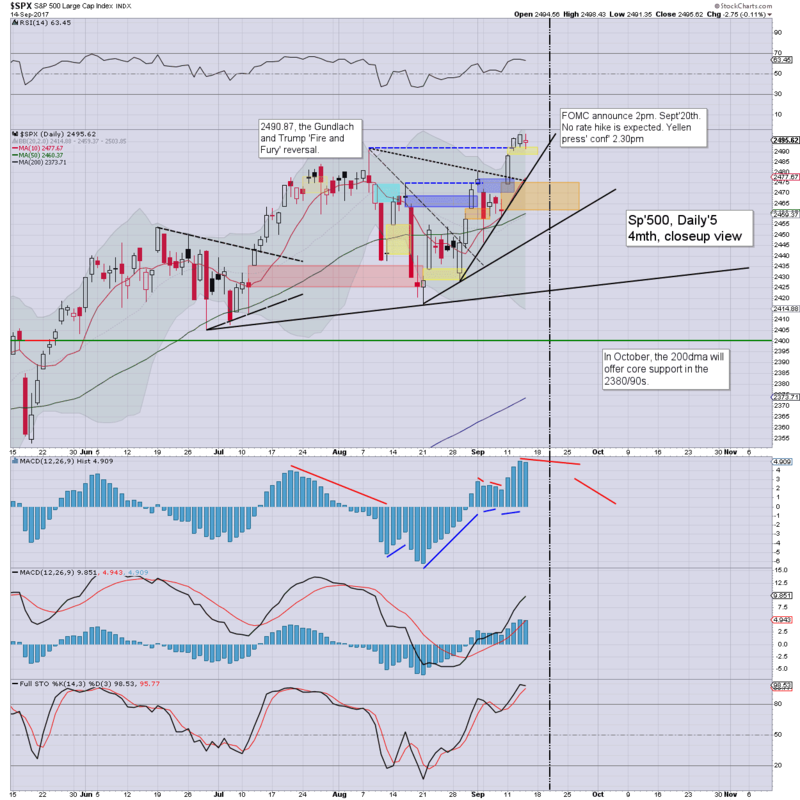 Near term outlook offers a great deal of minor chop into the FOMC of Sept'20th. From there, prime opportunity of a 4-5% down wave, before broad upside, all the way into spring 2018. US equities opened in micro chop mode, and stayed that way across the day. 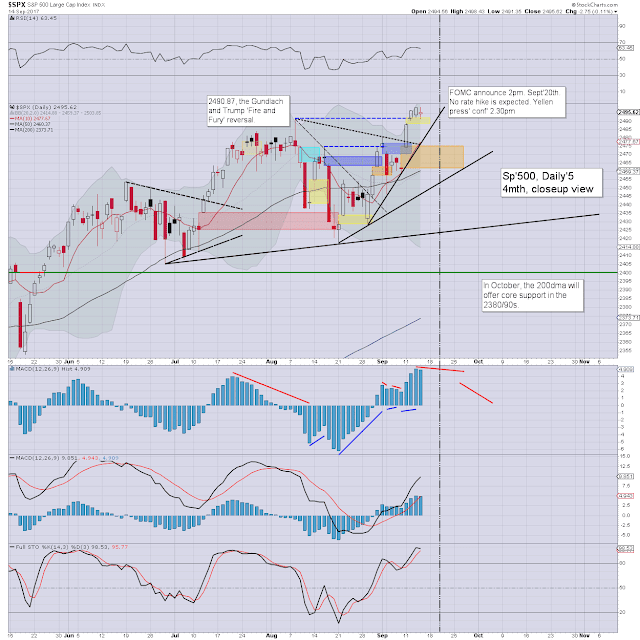 It was notable that the sp'500 and Dow did break new historic highs. That makes three indexes so far this month, the third being the NYSE comp'. 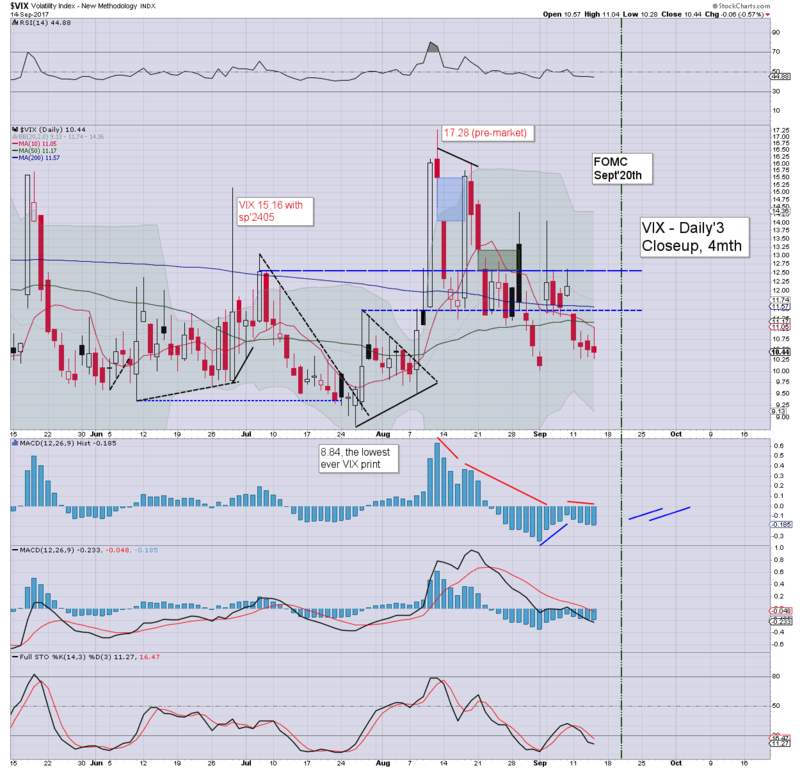 With equities effectively in churn mode, the VIX remained very subdued, settling lower for a fourth day in the 10s. Near term outlook offers a great deal of micro chop all the way into next Wednesday afternoon's FOMC announcement. Once that is out of the way, the equity bears will have the best opportunity of seeing some sustained/significant downside into October... but right now, no more than 4-5%.. to the 200dma.